Knesset member Aliza Lavie is blond, poised — and whip smart. I caught her on her way out of the Knesset after yet another dead-end meeting with its ultra-Orthodox members, discussing women’s rights. I’ve been following Lavie for years — as part of my own activism for Orthodox women’s rights. Formerly a lecturer on communications and gender at Bar Ilan University, Lavie has led the charge to advance women since joining the Knesset in 2013 as part of the Yesh Atid party. Orthodox but not ultra-Orthodox, she has made it her mission to ensure women’s representation in Israel’s religious institutions. In Israel, a woman can serve as prime minister, head of the Bank of Israel, a Supreme Court judge and an air force pilot — yet her personal life is still subject to a religious legal system that renders her powerless. For Lavie, it’s grueling work: She spends her days fighting with ultra-Orthodox members of the Knesset over women’s rights. As part of government coalition agreements, control of all things religious is given to the Haredi parties —- and the coalition in power today (the Likud, Bayit Yehudi, UTJ, Shas, Kulanu and Yisrael Beiteinu parties) vetoes every one of Lavie’s bills. “Whether it’s to create female community representatives in the religious courts; to enlarge the women’s space at the Kotel, which is currently one-fifth of the size of the men’s, or to make prenuptial agreements [to prevent the divorce refusal] part of the marriage ceremony, my hands are tied,” she told me. Despite 75% of Haredi women working — with 55% of married men studying full time in yeshiva, according to Hiddush, an organization working toward religious equality in Israel — Haredi women are entirely absent from government. Both of the Haredi political parties, the Sephardic Shas and the Ashkenazi United Torah Judaism, bar female members; this has engendered growing problems within the ultra-Orthodox community and stokes a constant battle for women’s rights on a national level. For Ruth Colian, a Haredi lawyer and a colleague of mine, watching the community’s male representatives ignore, repeatedly, matters critical to women’s health inspired her to create U’Bizchutan, a Haredi women’s political party, under which she ran for the Knesset in the 2015 elections. “I saw women dying of a disease they could not name — breast cancer — because of modesty,” Colian said. “I saw domestic violence that was kept quiet, women taken advantage of at work — especially Sephardic women — and Sephardic girls kept out of schools because of their backgrounds. They deserve to be heard.” Colian did not cross the election threshold, but it created a storm in Haredi society, marking the first time a Haredi woman challenged the status quo. 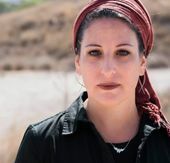 Esty Shushan, founder of Nivcharot, a women’s rights organization, feels that this lack of representation lies at the core of the issues Haredi women face. “Our fight today is a battle for basic rights,” she said. Speaking quietly but passionately, the Safed-born Shushan explained that she was still shaken by the story of a woman she met the day before. And it is not only in government that women lack positions of influence — the rabbinic courts, which have exclusive jurisdiction over all Jewish divorce in Israel, comprise all-male panels, in accordance with Jewish law. It was from one of these divorce courts that Fainy Sukenik expected justice when she applied for a divorce at the age of 27, after seven years of marriage and three children. During the years she sought a divorce, Sukenik was ostracized and nearly fired from her teaching position at a Haredi girls school because of her decision to divorce. She began to blog under a pseudonym, and started a Facebook group called B’Asher Telchi to help other Orthodox women going through divorce. Though officially banned in Haredi society, access to the internet is widespread; many people have two phones, one “kosher” with no internet and the other a smartphone. Thousands of Haredim have joined more and more social media groups whose members support each other in the comfort of shared identity. But these groups do more than offer support — they are breeding grounds for change. Michal Zernowitski first entered Haredi politics in 2014, when she ran for office (and subsequently lost) in local elections of the ultra-Orthodox city Elad. Zernowitski spoke passionately about the elite that rules her society. The outcomes are clear. According to Rachel Levmore — the first female rabbinical court advocate elected to the committee to appoint rabbinic court judges — women’s experiences in Israeli courts improved dramatically when women were introduced as halachic and legal representatives and included in the committee that elects judges. “When women hold official positions, the concerns of those women who appear in court are more likely to be heard,” she said. Moreover, Haredi women are unlikely to have their concerns addressed anywhere else. Given the prohibition against television, secular radio and the internet in Haredi society, many Haredim get their news from internal ultra-Orthodox media, where censorship is a given. Some topics, such as women’s rights, women’s health, sexual abuse or even women in the news, are simply not mentioned. On the one hand, this practice shields the population from secular influences they consider damaging; on the other, it limits awareness of opportunities and potential risks in ways that may have lasting ramifications. But when the Israel Women’s Network launched an awareness campaign about a legal advice hotline for religious women, the response was overwhelming. “We were bombarded with such insane and basic questions [from Haredi women] about women’s rights to salary and benefits, we had to hire lawyers and specialists,” said Zernowitski, who sits on the organization’s board. Changing a community’s culture is complicated. All these efforts by Haredi women to improve their society may be culminating, at least for now, in the candidacy of Rabbanit Adina Bar Shalom for government. The daughter of the revered late rabbi Ovadia Yosef, who also founded the Shas party, has announced a new political party that she will head. Her very announcement is a game changer, reflecting the winds of change that now seem inevitable. Most recently, the Israeli Ministry of Justice appointed its first female Haredi judge, Chavi Toker, to head the magistrate court. Perhaps because of heartening developments like these, Haredi women’s activists are staying put, determined to make a difference. Sukenik, Shushan, Zernowitski and their colleagues have no interest in abandoning their community. Rather, they want to improve it, by making women’s voices prominent. They know that if they do not fight for the improvement they want to see, their community will be vulnerable to the extremists. This story "Conversations With The Ultra-Orthodox Women Fighting For Their Rights" was written by Shoshanna Keats-Jaskoll.